Atlanta rapper Tez McClain has been on a roll since finishing up his tour in February. First, he released the free EP The Scoundrel, which features E-40, Reese, Erk Tha Jerk and more. Last week he released a new video featuring Erk Tha Jerk for the song “Change.” Today Tez is proud to release another high-profile collaboration track. 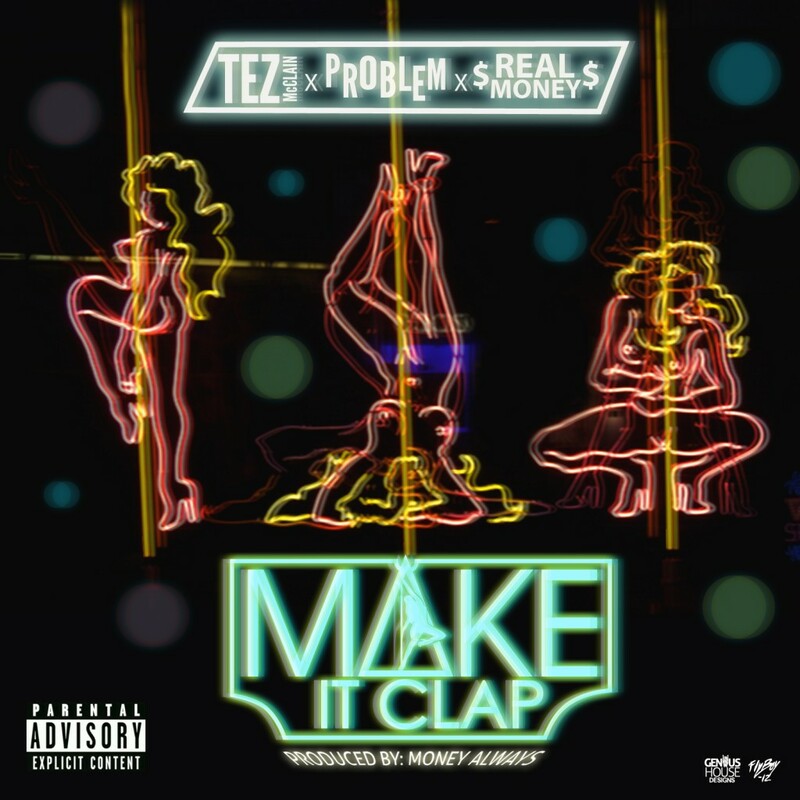 Entitled “Make it Clap,” the club friendly track features Problem and Real Money with production by Money Always. Please contact Michelle or Dan if interested in talking with Tez McClain. Atlanta-native Tez McClain has been steadily winning over audiences with his charisma. Having won Hot 107.9′s Battleground Contest so many times he was named Battleground Champion, he followed this up with his first mixtape Wishful Thinking Vol. 1 featured by media outlets like HipHopDX and XXL Mag. After a tour with Opio and Bay Area’s Mistah F.A.B. he released Wishful Thinking Vol. 2: Respect My Grind last year which resulted in a feature in XXL Magazine. His latest work Scoundrel has just been released and features the likes of E-40, Reese, and Zaytoven.